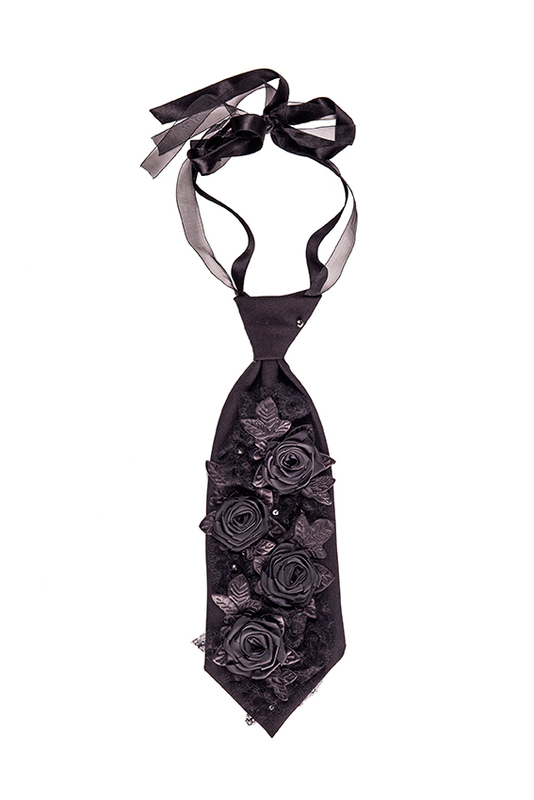 Design tie-accessory is embellished with textile roses and Swarovski crystals. Beautiful black lace adds feminine glam. 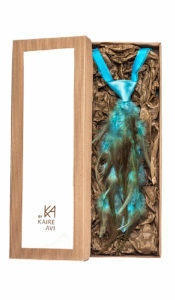 This beauty is not just for looking at; it is for trying on yourself! 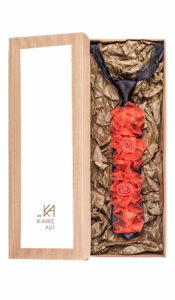 Length of tie from knot to tip is 33 cm. 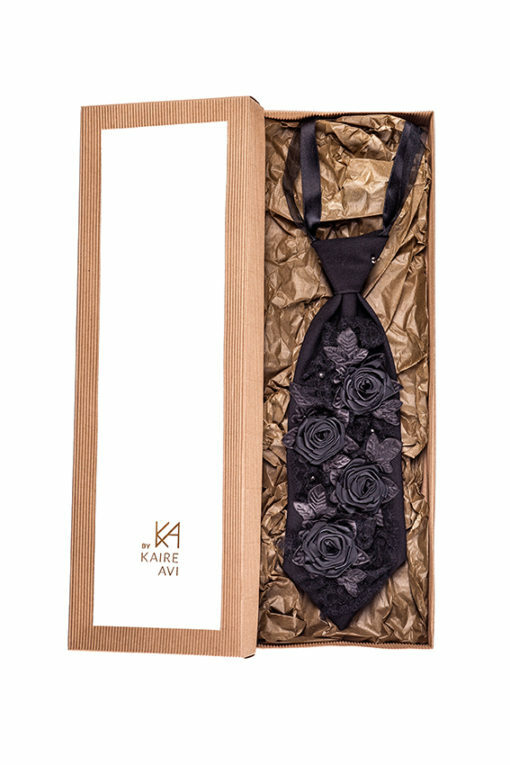 The tie is packed in box. 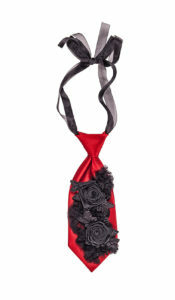 Good choice for a present !